Plug-in Electric Car Sales In Canada, July 2013: Tesla On Top? July marked the 237th anniversary of the American Republic, and the 146th birthday of Canadian Confederation. While it could also have marked another month for the Chevy Volt as the best-selling Canadian plug-in electric vehicle, when the vehicle registration data comes out, we may see the Tesla Model S atop the leader board. 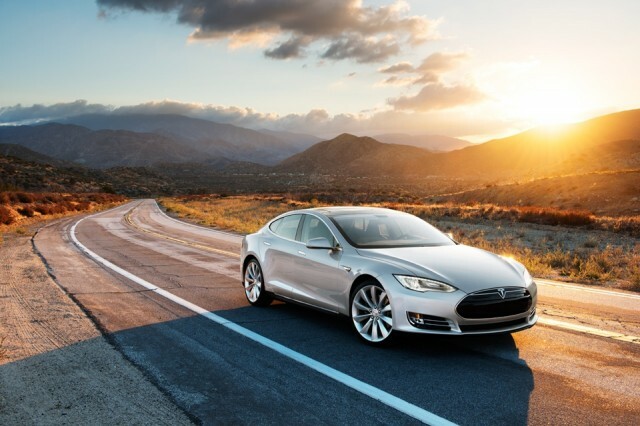 We have previously reported that from January through May, a total of 281 Tesla Model S's were registered in Canada--an average of about 55 per month. We can now report monthly Tesla Model S vehicle registrations, going back to its Canadian debut last December. And as with all of Tesla's numbers recently, they're impressive. 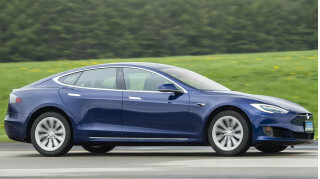 It turns out the Model S has already twice been Canada's top-selling plug-in electric car:- in December 2012, its first month on the market, its 95 sales topped the Volt's 57 - in March 2013, when the Volt and Leaf achieved an impressive 82 sales apiece, the Model S outpaced them with a blistering 111. The Tesla enjoyed consistent Q2 in Canada, selling about 60 vehicles in each of April, May and June. This is a relief to your contributor, who in a previous version of this post, inferred Tesla was enjoying steady Canadian sales, based on much sparser data. While we expect some monthly variation, we don't think Model S sales would plummet by one-third from month to month. Tesla doesn't run time-limited promotions as other automakers do, which can result in dramatic peaks and valleys in monthly sales trends. On the topic of time-limited promotions that produce peaks and valleys in monthly sales, Chevy Volt sales fell off a cliff in July after incentives juiced the car's June numbers. It speaks to the Volt's dominance of Canadian plug-in sales that despite almost a 75-percent month-over-month drop from 153 to 42 units, it remained tied for the best-selling plug-in car in Canada… among automakers who report monthly sales. The 513 Volt sales in Canada year-to-date rank slightly behind last year's 600 at the same time. Given the growing number of plug-in electric vehicle options for Canadian drivers, we expect the Volt to fall short of last year's totals (1269 vehicles). This year's sales total may even be confined to the triple digits. The Nissan Leaf sold 42 units in July in Canada as well, recovering to the Douglas Adams-popularized figure from a dismal 13 sales in June. Though 2013 model year Leafs finally arrived in Canada in July (hat tip to Ricardo Borba, via the Canada Nissan Leaf Owners Facebook group) they probably aren't the reason for the sales recovery. First, some dealerships were still waiting for new Leafs at the end of the month. Second, the Leaf averaged 41 sales per month in the first half of the year--so its July sales are essentially a regression to the mean. It remains to be seen whether the 2013 Leaf built in Smyrna, Tennessee, will boost sales in Canada as it has in the United States, partly because sales will depend on the share of production allotted to this market. It's been suggested that the number of 2013 Leafs coming to Canada is about 200--or about three days of U.S. sales. Presumably, the 2014 model year will produce greater numbers, with any supply constraints having been solved by then. Smart's Electric Drive (a.k.a. the Smart ForTwo Electric) rolled into fourth place in July with 25 sales, marking the third time in four months that volume topped 20 units. Fourth place ties the Smart's previous-best ranking, which came in May when the Smart, Prius Plug-In and i-MiEV each moved 22 units. A competitive lease offering from Smart Canada goes until end-August, so we might expect to see a dip in volume come September. Just 16 Mitsubishi i-MiEV's sold in Canada in July, up somewhat from June's 11. The year-to-date total rises to 108, down from 128 at this point last year. The Toyota Prius Plug-In took sixth place among automakers for whom we've found data, with 14 sales, tied for its second-lowest monthly total since its Canadian debut last September. As for Ford's offerings -- the C-Max Energi, Fusion Energi and Focus Electric -- we haven't been able to obtain sales figures yet. Given that the "Blue Oval" is holding down first-place in auto market share, we'll give them the benefit of the doubt and assume they're busy producing ever more vehicles, plug-in electrics among them. We do know that through June, Ford Canada had sold 78 C-Max Energi and 35 Fusion Energi plug-ins. Sales may be healthier than the implied rate of 12 and 6 sales per month respectively, because the vehicles may not have been available at the beginning of the year. Much as the U.S. plug-in market can be divided between major players and low-volume / compliance cars, Canada can be viewed through a similar lens. While the Model S, Volt and Leaf fight over the gold, silver and bronze, there's a crowded field in the lower-sales-volume group. From now on, if the i-MiEV and Prius Plug-In have a slow sales month, they may not longer be fighting for fourth place, but for eighth. To show how crowded things are getting in the second tier of Canadian plug-ins, in June the i-MiEV sold 11 units, the Smart Electric 10, and the Ford Focus Electric 9. The Canadian plug-in scene is nowhere near as complex as a 19th-century Russian novel, but we've decided to attached a tabulated sales chart (previous page) to each of these monthly updates, arranged in order of decreasing year-to-date sales. We're open to feedback on our design; if you have suggestions on how to improve the table or make it more functional, please let us know in the Comments below. Oh, and about those July national holidays? While the U.S. was forged in the War of Independence against the King of England, Canada coalesced after two conferences. During those get-togethers, three colonies agreed to form four provinces of one country--but only if Queen Victoria was on-board with the plan. And she was. Plug-in Electric Car Sales In Canada, Sep 2013: Volt Repeat?